WIAWIS ONE is completely new concept in limbs that combines advanced manufacturing technology and Flaxpreg, eco-friendly natural materials. Flaxpreg is made of natural fibers and epoxy resins. This material has never been used in archery manufacture before. Flaxpreg is environment-friendly material, and its twisted structure enhances the vibration damping effect in shooting. 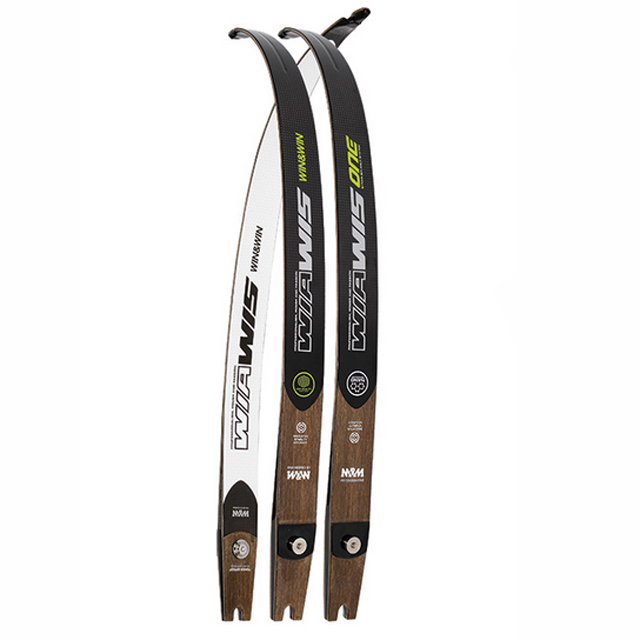 WIN&WIN applied high strength and high modulus carbon fiber to the limb, using Nano carbon, which is much stronger and has greater vibration absorption qualities than carbon fiber which results in upgraded bow technology and performance.